autistic adults | Tania A. Marshall, M.Sc. 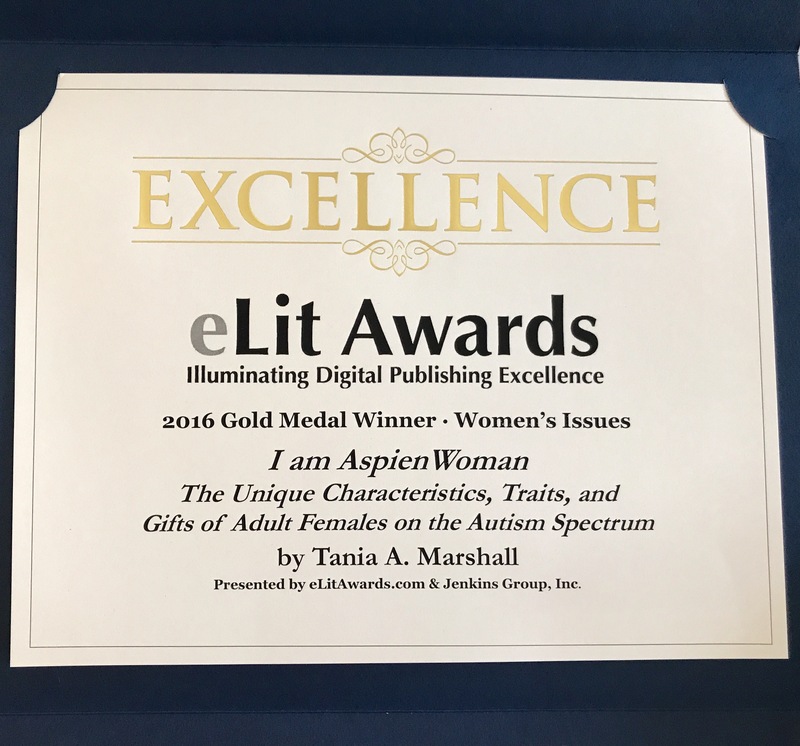 I Am AspienWoman, Foreword by Dr. Shana Nichols, is over 300 pages and covers the entire lifespan from late teens to the elderly woman. Included is a mentor section including 24 inspirational and motivational Autistic woman, headed up by Dr. Temple Grandin. A diagnosis does not always mean disclosure. By this, I mean disclosure may not be helpful. It depends. In my work with women, I have had women who wanted a diagnosis just for themselves and planned to tell no-one (not even their partners family members), I have had people who have told the world, and I’ve had everything in between! Disclosure can have positive or negative ramifications and it is context dependent. Once you have disclosed you cannot take it back, nor can you control how or what others will say or think. In an ideal world, it would be perfect if the workplace or educational institution or other people would act according to disability law or respond how you would like them to, but this is often not the case. It may or may not benefit you to tell people and the pros and cons need to be considered, even if a workplace says they are aware and accommodating of disability. What are the pros and cons of disclosure for you? It is a common experience for women to be invalidated, disregarded and/or not believed after they disclose their diagnosis to family members, partners or friends. This is mainly due to a lack of education and/or awareness about Autistic females. Other people may expect to see physical signs or behaviors to confirm to them that a woman is on the Autism Spectrum. They may compare her to the media stereotyped characters or the males they know or know of on the Spectrum. 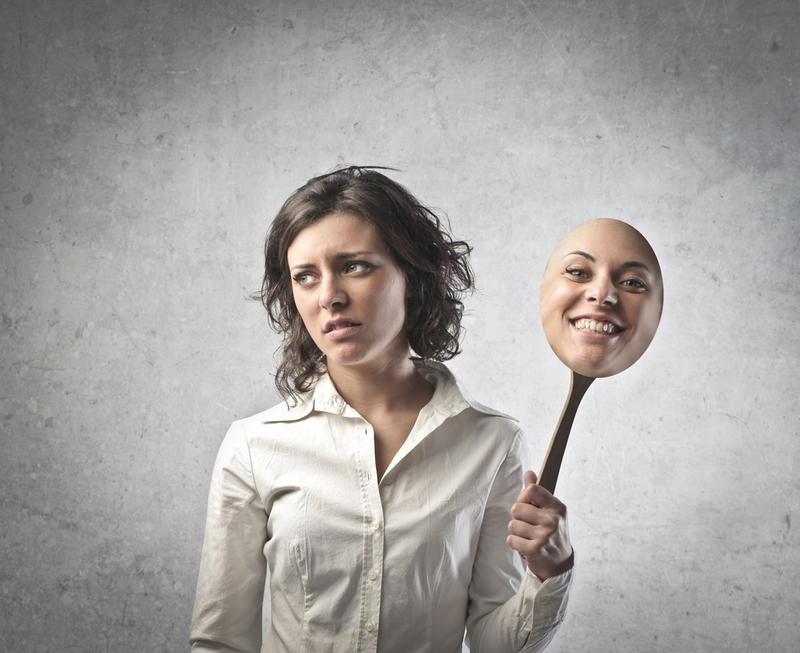 They may say inappropriate or upsetting things to the newly diagnosed, often coming from good intentions. Other people on the Spectrum may not believe you or may say just as upsetting things. Educating others (by referring them to research or books) and self-advocating, where possible, may be helpful. females are Tomboys, dislike make-up and clothing, don’t like fairies or the colour pink, females, cannot look at you and carry on a conversation, and more. In fact, the opposite is true. Whilst I have met some females like this, I have met many females who love pink, make-up, clothes, fashion and fairies. There is no one type of Autistic female. What are some scripts or responses you can have prepared ahead of time? What are some ways you can explain your strengths and challenges? What are some ways you can advocate for yourself? 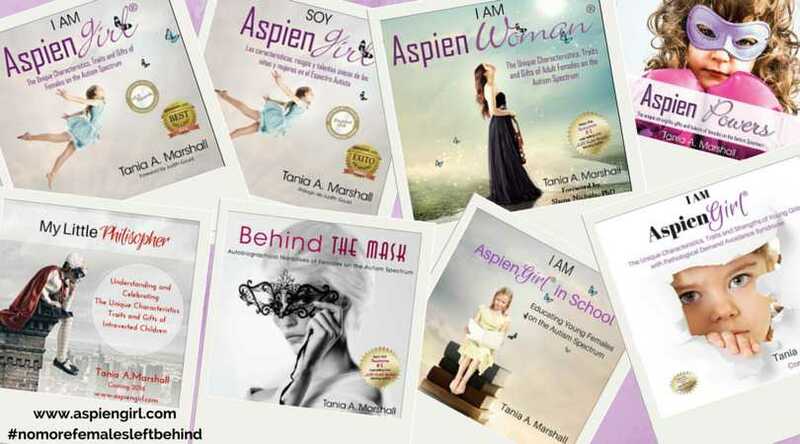 Tania Marshall is a best selling author, a 2015 ASPECT Autism Australia National Recognition Award Nominee (Advancement Category) and a 2015 eLIT Gold Medal Award winner for her first self-published book entitled “I Am AspienGirl : The Unique Characteristics, Traits and Strengths of Young Females on the Autism Spectrum”, foreword by Dr. Judith Gould. 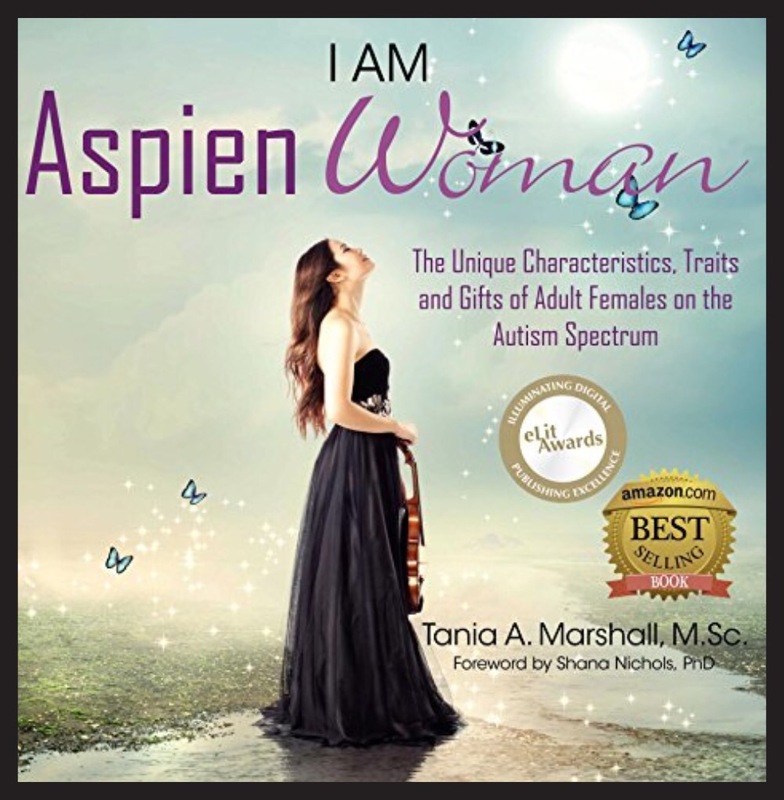 The sequel to this book entitled “I Am AspienWoman: The Unique Characteristics, Traits and Strengths of Adult Females on the Autism Spectrum”, Foreword by Dr. Shana Nichols is available September, 2015. 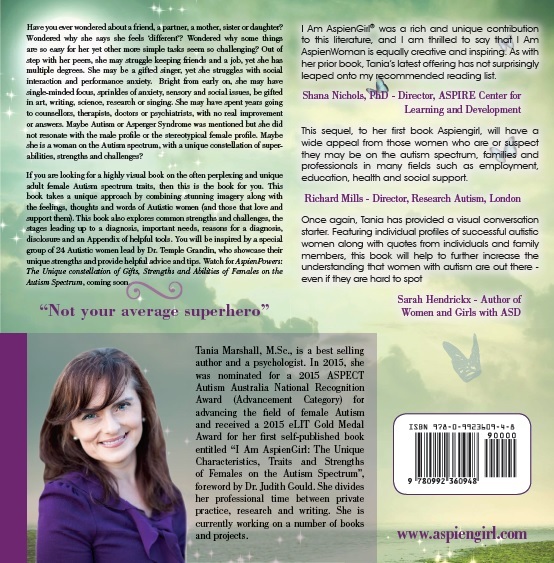 Tania is currently writing the third book in her book series entitled “AspienPowers: The Unique Constellation of Strengths, Talents and Gifts of Females with Autism Spectrum Conditions”. 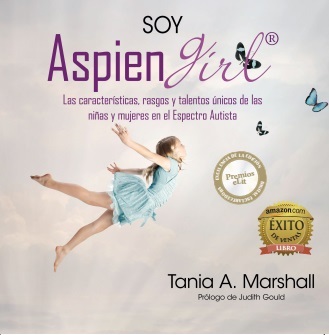 The Spanish version of I am Aspiengirl , entitled Soy AspienGirl is now available. Tania’s work has been translated and/or cited in numerous publications including Sarah Hendrickxs’ recent release entitled “Women and Girls with an Autism Spectrum Disorder” (2015), foreword by Dr. Judith Gould. Tania currently works in busy full-time private practice, providing diagnostic assessments, intervention and support to males and females ages 2-76 years of age. Tania is an Australian Psychological Society (APS) Identified Autism Practitioner, a Helping Children with Autism Early Intervention Service Provider (HWCA), a Better Start for Children with a Disability Provider, an approved Medicare provider of psychological services and a trained Secret Agent Society (SAS) Practitioner.